Are you a researcher that needs very specific resources? Are you interested in working with the University of Illinois at Urbana-Champaign library’s vast collections? You are in luck! A call for applications for the 2019-2020 Research Travel Grant have just opened! If you are a scholar at the graduate and post-doctoral level, you have until may 1st, 2019, to apply! You will need to send a project proposal (no more than three pages) which clearly highlights how the work at the UIUC Library is part of your ongoing or future research, along with an updated CV, and a letter of recommendation from a local scholar in a relevant academic department of the University of Illinois at Urbana-Champaign. But what types of materials could researchers take advantage of through our library? Well, in our nearly 14-million volume collection, there is wide variety! 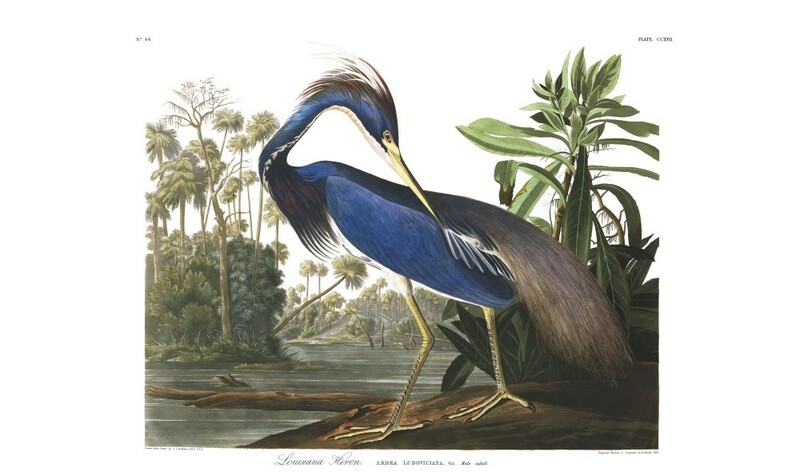 One of our featured collections is the Audubon Folio. This piece was originally bought for one thousand dollars, and is one of 134 that remain intact. With the original standing three feet tall, and weighing fifty-pounds, pieces facsimile copy the university library owns is on display outside the Literature and Languages Library. The International and Area Studies library also has an impressive collection of South Asian comics. More than 1,600 of these comics are from India, with the library’s comic collection reaching nearly 10,000 titles in more than a dozen languages. And there are so many more collections at the library! The James Collins Irish Collection is “devoted to Irish history and culture, and includes 139 volumes of bound pamphlets, as well as 2,500 unbound pieces”, entire works and pieces from 127 volumes of newspaper clippings, political cartoons, and more! The library has collection ranging from the Spanish Golden Age to American Wit and Humor. We certainly hoped we’ve sparked your interest in our vast collection! And check out even more pieces of our distinct collections here! This entry was posted in Uncategorized and tagged grant, library collections by William Tringali. Bookmark the permalink.